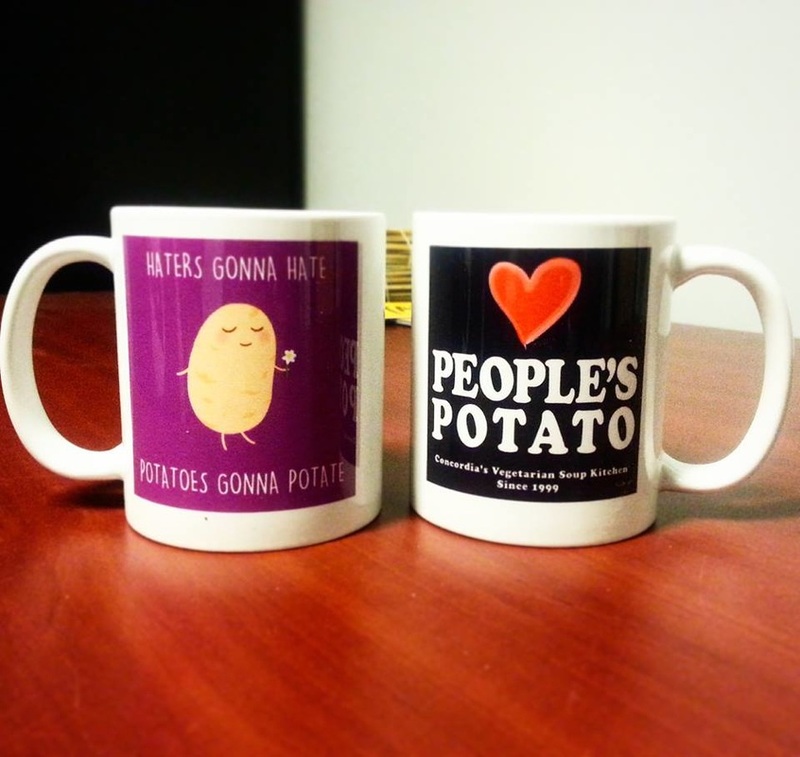 New in November 2015 - People's Potato mugs! Brand new People's Potato mugs! All cups contain both images - one on either side. Come to the Potato kitchen and ask a collective member to purchase one. $8.50 to $10 sliding scale.